All summer long, we’ve been hanging out with our little rugrats all day. They’re under our feet with everything we do. They undo all the cleaning we spent time on. The questions come out of their mouths faster than we can even process them. But now school is back in session, and I’m pretty sure I hear a collective sigh all across the world as moms rejoice in their new freedom once again. Sure, we all love our kidlets like no one else, but at the same time, they sure do have a way of pushing our buttons. And all summer long, I kind of have a feeling you haven’t had a chance to take care of yourself a whole lot. Between summer camps, play-dates, day outings and activities, the “me time” has been quite non-existent. And because of that, you’ve probably lived on your fair share of PB&J’s right along with the kids. I’m telling you that it’s time to hit that re-set button and give yourself a treat. And, no, this time I’m not talking about a chocolate-y goodness type of treat. I’m talking about one that your body will truly thank you for. Between the book that you’ll finally get a chance to read and the afternoon bubble bath you are going to treat yourself to, it is imperative that you feed your body with foods that are full of nutrients and color. 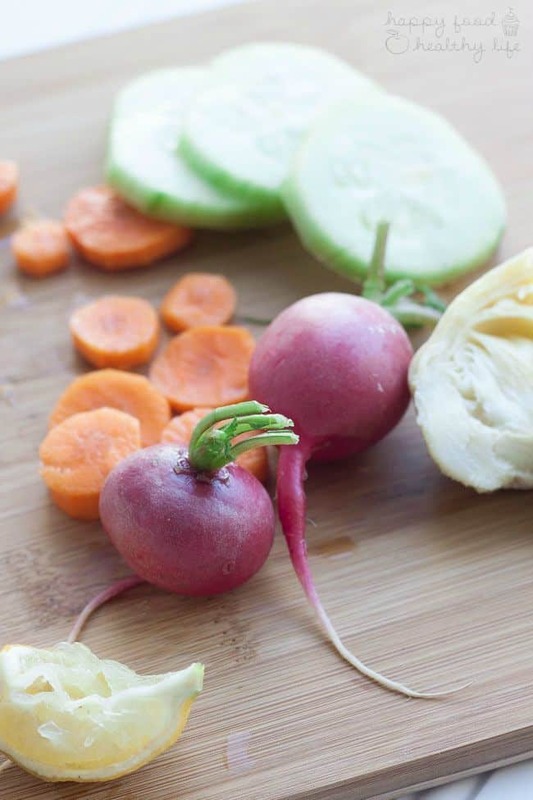 The vegetables in this salad are cleansing and refreshing. You can basically feel your body saying thank you in each bite. 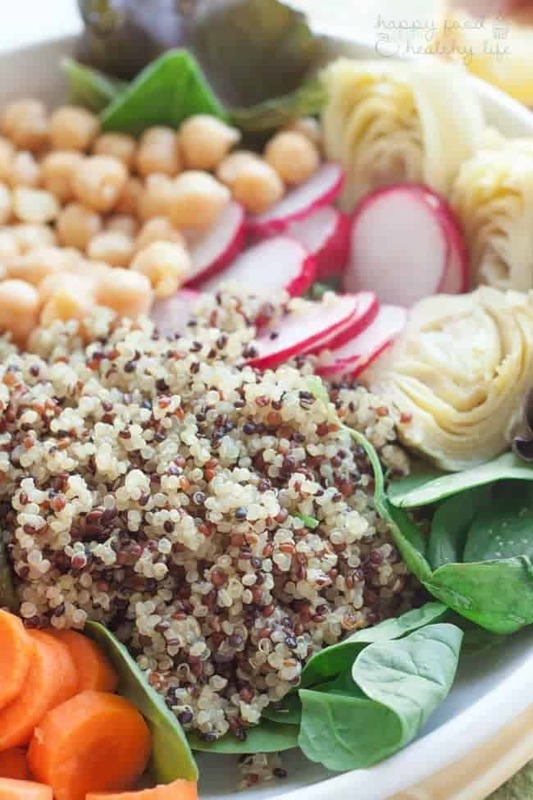 And the best part is all the protein you’re getting in a vegetarian salad! The chickpeas for one, but also the quinoa! 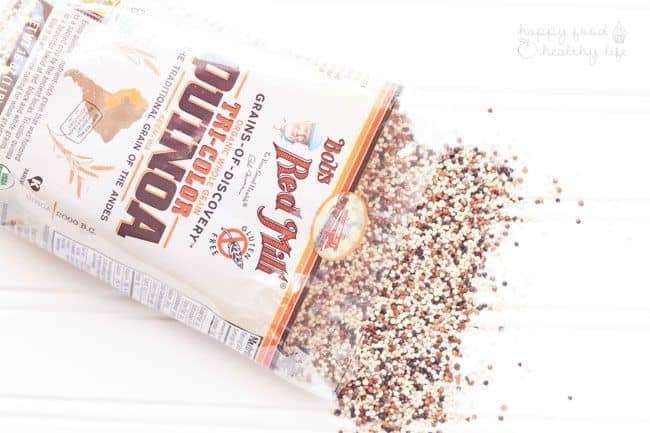 I have such a love affair for quinoa, but I had never actually tried Bob’s Red Mill Tri-Color Quinoa until just a few weeks ago, and I love it just the same. 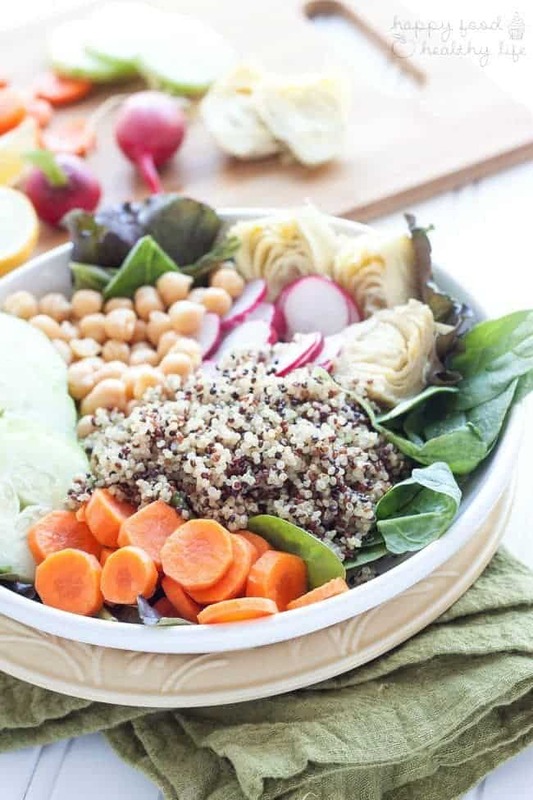 I feel like it adds even more of a nutty flavor, which is perfect for this salad and any other dish you want to use quinoa in. In a small saucepan, bring water and quinoa to a boil. Once boiling, bring down to a low simmer, cover, and cook for about 20 minutes, or until all water has been cooked out. Set aside and let cool. In a large salad bowl, combine all salad ingredients and toss gently. Top with cooked quinoa and dressing.